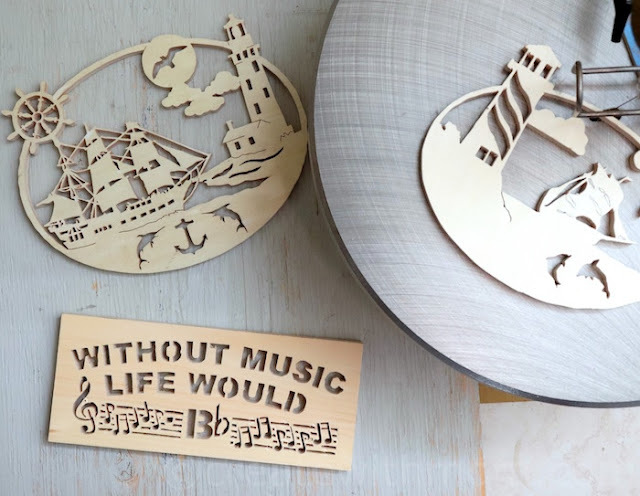 Scroll sawing is a very enjoyable hobby and the end result is rewarding, as the projects are personal and perfect for home décor and to give as gifts. We find this hobby relaxing and something that keeps us busy especially during cold winter days. We chose a small corner in our home to setup the scroll saw, so we can do projects indoors. We like that it does not take up a lot of space, and when doing the projects there is not much dust and debris to clean up. 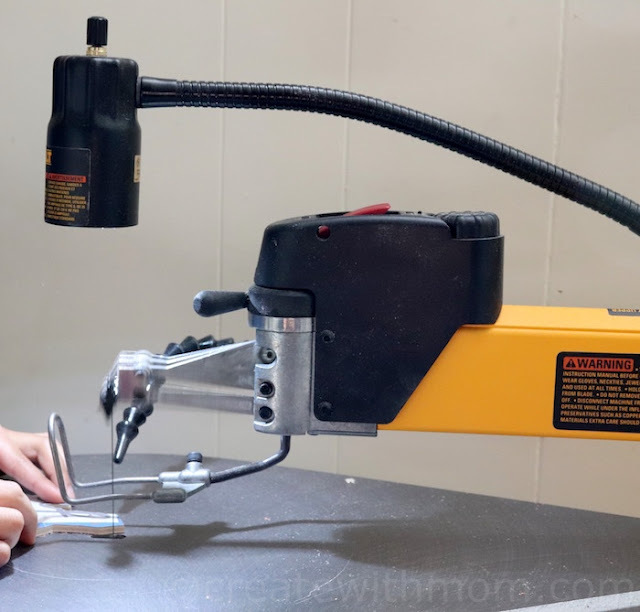 Scroll sawing can be a great introduction to woodworking for kids and adults alike, as it is safe to use. 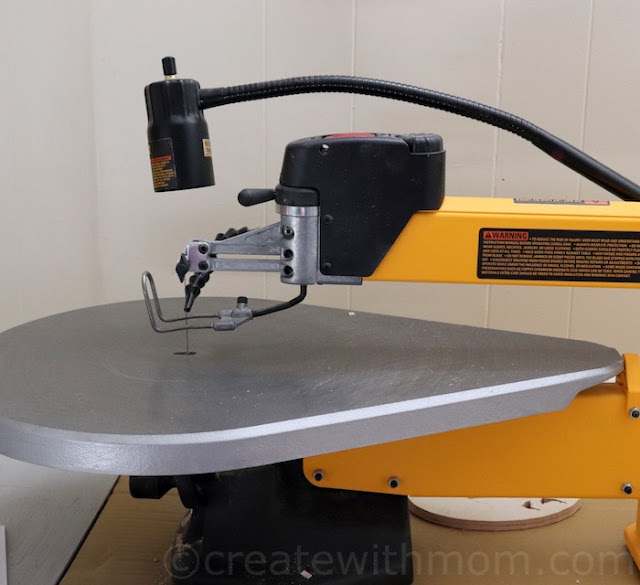 Prior to using the Dewalt DW788 20" variable speed scroll saw, we had a standard 16 inch scroll saw, which had all the relevant features such as a blower and a light built into it to get us started. It was good for simple, basic designs, and starter projects. After getting comfortable doing small projects and learning the craft, we realized there were some limitations with our 16 inch scroll saw. For starters, it was mainly built for using pin end blades. Pin end blades have "pins" on each end. So the blades can only be inserted through a hole big enough to accommodate the pins. These blades restricted us from creating patterns with very intricate details. This issue was resolved when we started using the Dewalt DW788, as it has taken our scroll sawing to a whole new level! 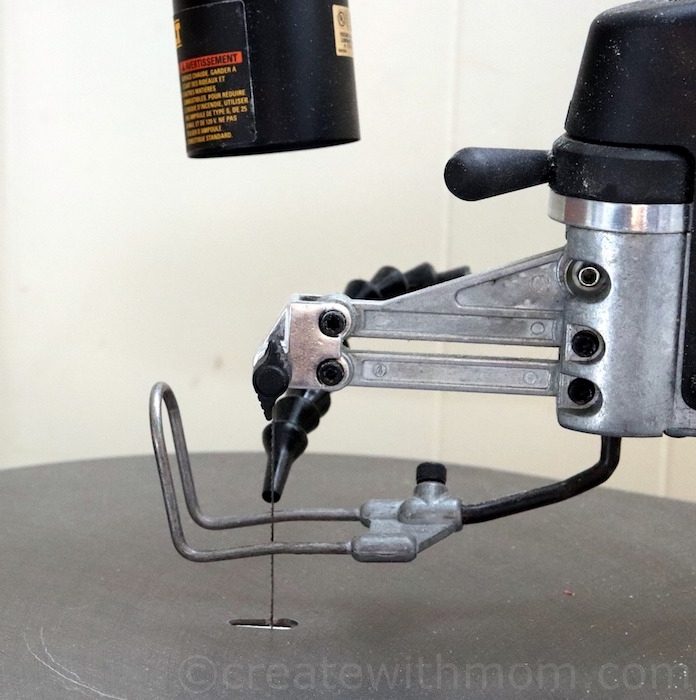 There are so many features that really sets this scroll saw apart from others. Setting up the saw was easy. The saw comes mostly preinstalled with only the table left to attach. This is done by attaching the included bolts on either side at the bottom of the table. This saw weighs around 60 pounds, it is heavy compared to others we have encountered, which we find to be a positive feature, as it keeps the whole assembly from vibrating and definitely keeps the noise down. The motor is housed at the back of the saw which helps reduce the noise and helps us concentrate on our project. The teardrop shaped table is built of solid cast iron and is about 23 ½ inches long and 16" wide. 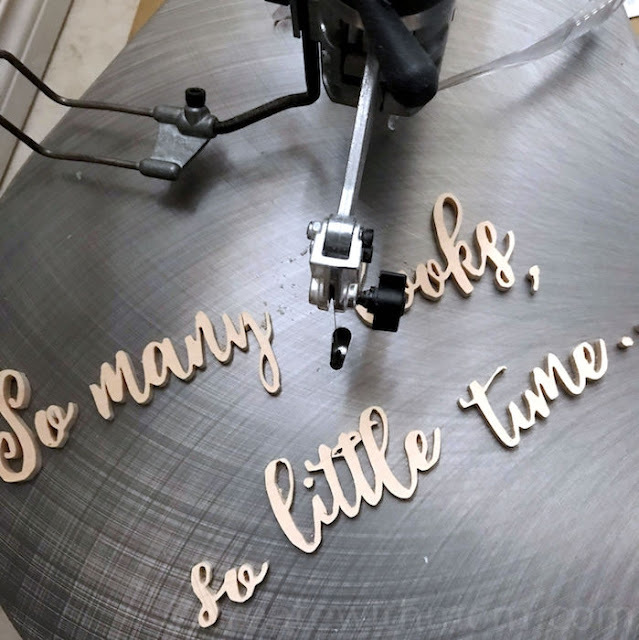 The length of the table along with the size of the throat (which is the distance between the blade and the back of the saw) makes it very convenient when cutting long pieces of wood as it helps us navigate our cuts easier because there is more room to maneuver. With the luxury of a bigger table there is enough room at the back to temporarily place parts of a project such as lettering. The DW788 has an all metal construction which is meant for heavy duty use. Since, the only moving part of the whole saw is the rocker, any vibration is distributed throughout the saw. This is remarkable for such a powerful saw. There is a heavy duty liftable arm which houses the variable speed dial and the blade tension knob. It takes a little bit of effort to lift up the arm if you decide to insert the blade into the workpiece from the top. The arm also does not stay up when changing the blade since there is no latch to hold it up. We have been using a block of wood to keep the arm lifted up temporarily while we insert the blade. There are also some innovative third party solutions to keep the arm lifted up safely. The tool free blade change mechanism on the DW788 makes blade changing and popping the blade in and out of numerous holes on a pattern a breeze. There are two identical knobs on the top and bottom of the table which hold the blade in place. We mostly loosen the top knob to remove the blade and insert it into the small holes we drill on the workpiece. 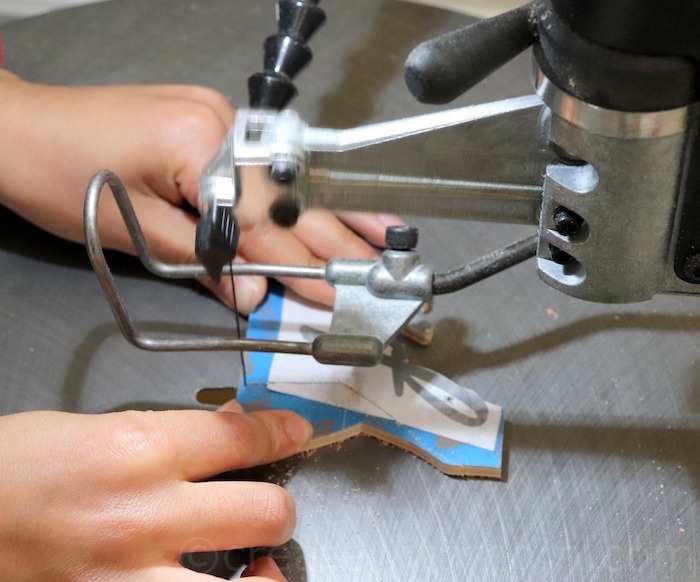 When working on a project with fine, delicate pieces that need very thin, internal cuts, we usually remove both knobs to remove the blade entirely so as not to damage the wood when removing or inserting the blade. We like that all the controls are strategically placed right in front of us. The big, red power switch is at an arm's reach in case we need to stop cutting in a hurry. The variable speed lever is available if we need to change the speed of the cuts. We usually use slow speed for thicker wood and higher speeds for thinner cuts. There is a flexible blower module on the Dewalt scroll saw. 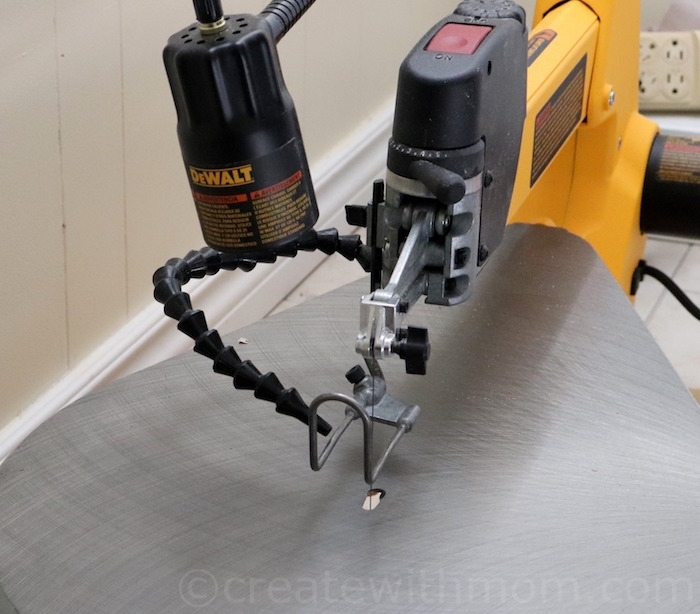 This has a long movable neck and can be adjusted and aimed at any direction or height when making cuts. Although, the air from the blower is not as strong, it is mostly enough to clear the dust from our cuts and keep the cutting area clear to get the job done. The DW788 does not come with a built in light. This is very important and comes standard in most basic saws. Dewalt sells the scroll saw light separately. The model number is DW7881. The flexible neck design of the light fits the saw perfectly although it requires its own separate plug for power. Scroll sawing is an enjoyable hobby, and needs patience. We seem to work continuously on some projects for long periods of time, as we get eager to see how the final product turns out. 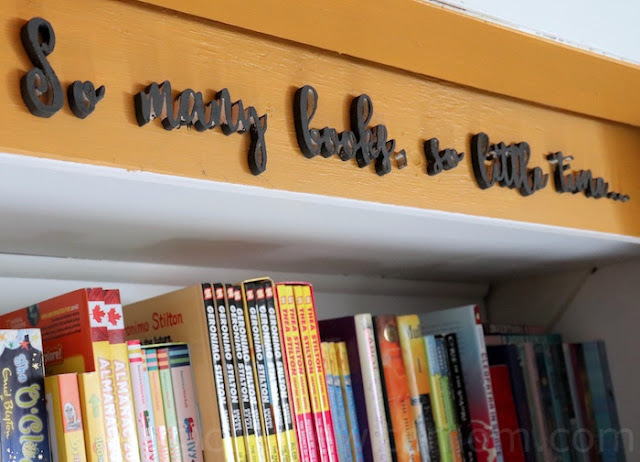 We find inspiration for our projects from books, magazines, and community forums online. Some of the designs that we have cut is from a beautiful collection of patterns on Steve Good's site. The DW788 20" variable speed scroll is a beautiful piece of equipment. 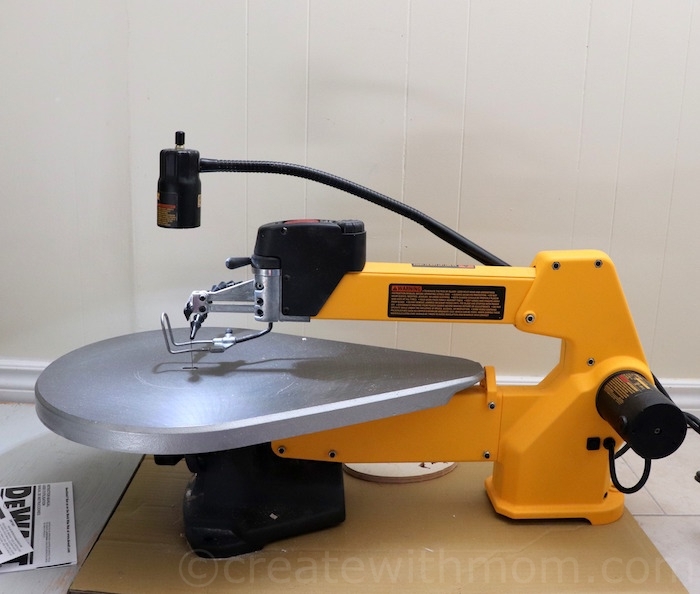 This heavy duty saw has open the doors for many creative possibilities to do a variety of really artistic projects, perfect for home décor and to give as gifts. Stay tuned for upcoming scroll saw projects. What wonderful items you have made. I must admit that I did not realize the creation of these things was called 'scrolling'. wow, those are really but it looks very time consuming. I doubt I have the patience or skill to do this kind of work, but it sure is beautiful!